Another Monday is here. But it's a special one. The last Monday in this winter season. Oh yes! Now, if we'd get a major heat wave and melt all that snow and ice and I could get back on the rail trail. A girl can dream, right? 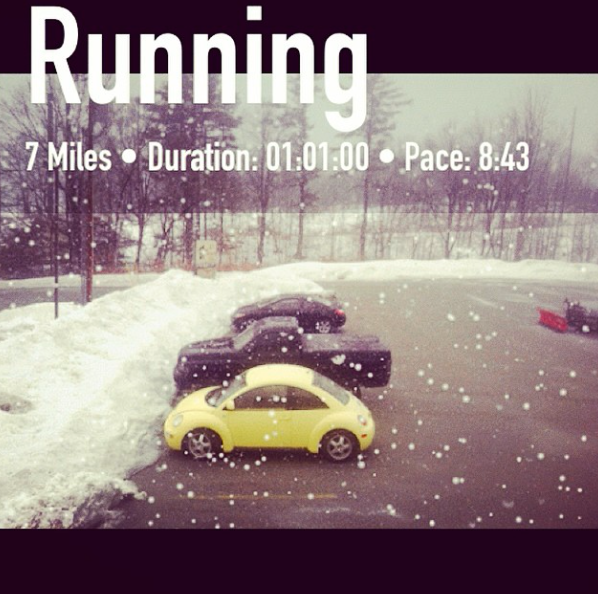 Regardless of the horrid weather, it didn't hold me back from my training. Tuesday - 3.5 miles. 44 degrees, melting snow. I even ran without a vest and gloves. Wednesday - 7 miles. We had another (last??? please!) snowstorm come rolling in Wednesday. The forecast was calling for a pretty bad afternoon, which resulted in an early dismissal. I took advantage of my "extra" time and hit the gym. Thursday - 6 miles. No school today, but the gym didn't close. I was scheduled to work so I went in a little early and got in my speed workout. Nailed it. Warm up/7:30/recovery/7:20/recovery/7:00/cooldown. Felt fantastic!!! Friday - 3.3 miles. Easy after school miles. No picture. I'm a slacker. Saturday - 6 miles. But today I had two pictures! 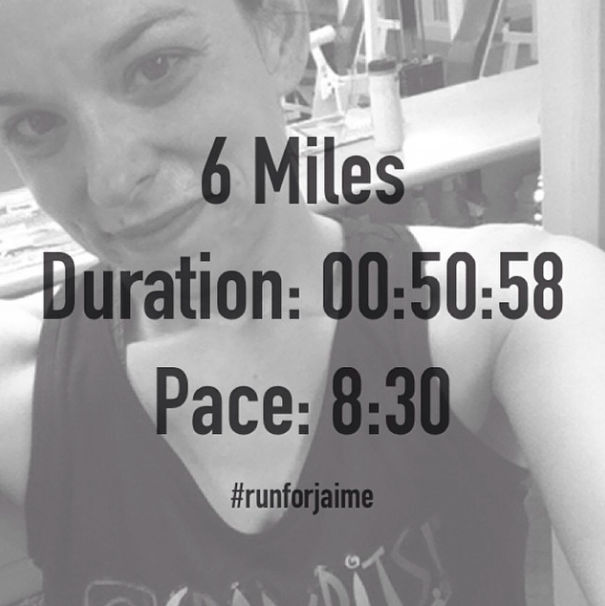 I ran 6 miles for Jaime, the young mom who was killed this past week. It breaks my heart to think of her grieving family. To think that there is always a chance that I could be struck and killed when out for a run is a scary thought, but a real one that races through my head quite a bit lately. 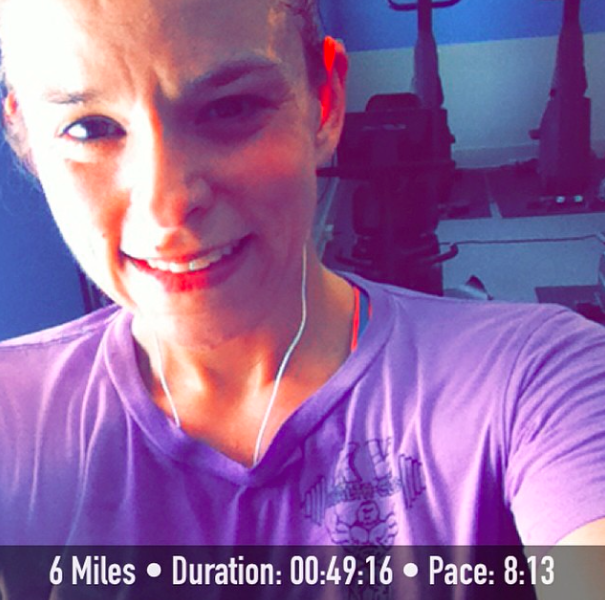 To break up the treadmill run, I pulled out a 6:54 mile mid run for Happy Fit Mama's March Challenge. Sunday - 6.8 miles. On the treadmill. Again. But the window beside me was wide open. 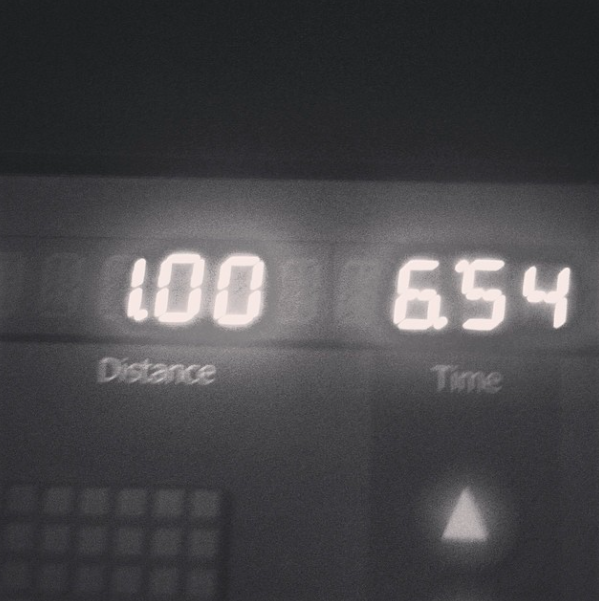 I do appreciate the treadmill and the ability to get in safe miles. I just miss running on the rail trail. Melt snow! Melt! I have a sneaky suspicion that today is going to be a rest day. The last couple of days I've been battling a head cold. I feel great when I'm running, but as soon as I stop, the head clouds up and nose starts running. I'll see how I feel when I get out of work and make my decision then. Rest days are a super important piece to training and in general. Great week Jen!!! One day this snow will melt!! You had an awesome week! 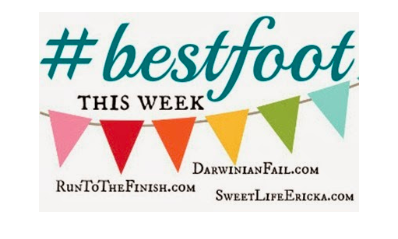 My week was a bit of a mixed bag - hoping for better this week! so sad about Jaime, those kinds of things are awful reminders about running safety. Hope you are feeling better soon, looks like you had a pretty good week last week! I hope the snow melts for you soon. 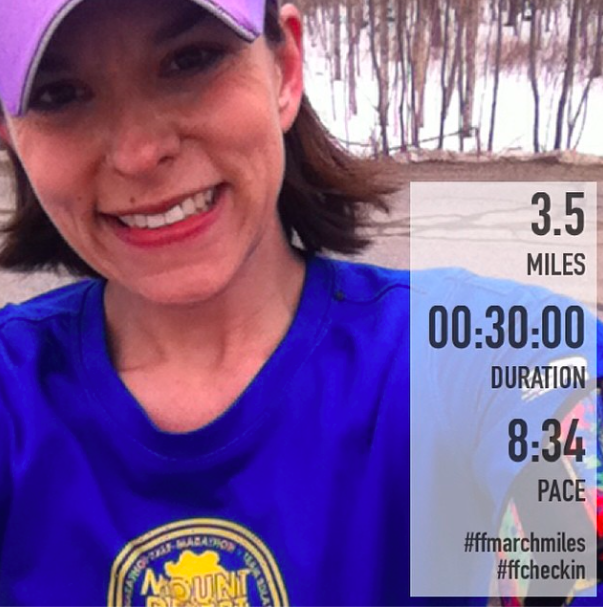 Lots of great running workouts! I heard about Jaime, the loss of another runner...so sad. Looks like you had another great week! 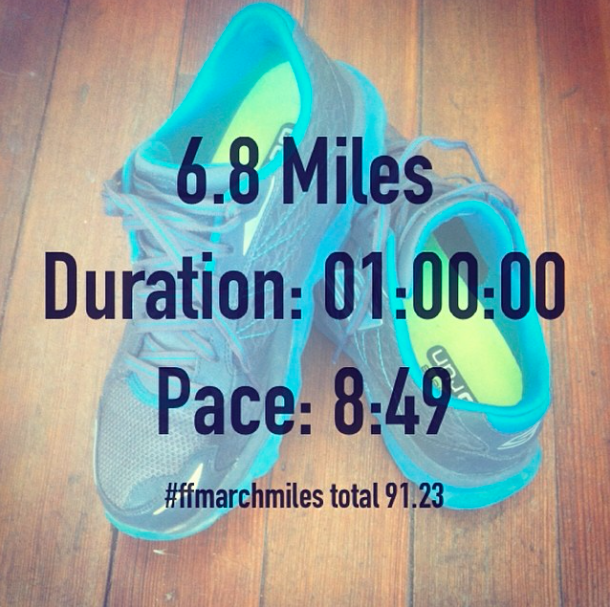 I am still trying to get back INTO running, so it will be awhile before you see any mileage reports from me like the one you posted recently. I hope the spring thaw starts soon for you!